While taking a short break in the Peak District National Park, I came across this 'star disk' or planisphere high on a hill overlooking the town of Wirksworth. 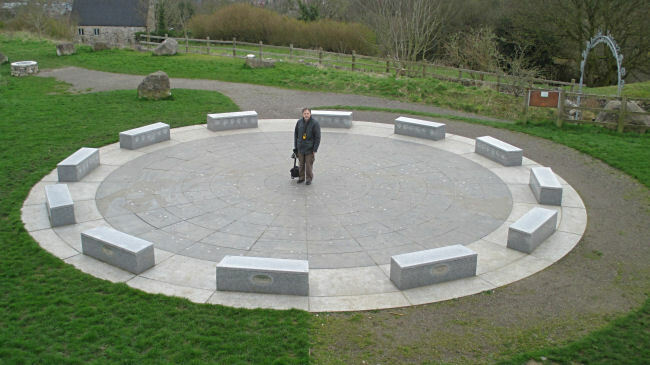 Each of the seats represent a viewing date and time as on a conventional planisphere. The weather wasn't so good, with rain threatening, but well worth the hike up to the top of the hill. I very quickly spotted a mistake! 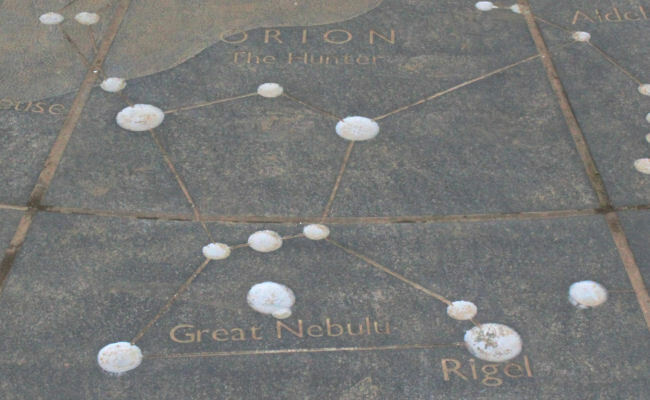 Actually I rather like the sound of the 'Great Nebulu' - even if I haven't a clue what one is! Its well worth a visit if you are in the area. At night it is illuminated.